Fall is the time for cider mills and apple picking. But who knew that picking half a bushel of apples would leave you with about 30 to bring home? Luckily, I have your apple-overload solution. 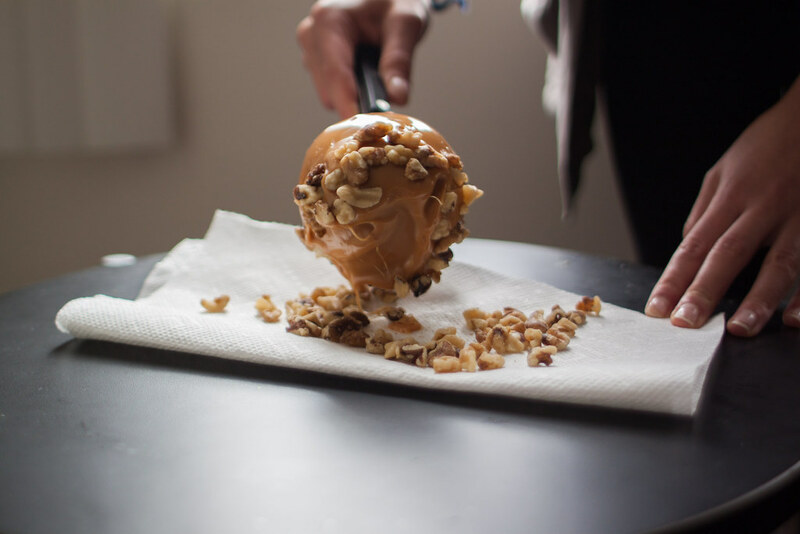 This caramel apple recipe calls for nuts and your favorite candy – with plenty of room for experimenting. Go for it. 1. 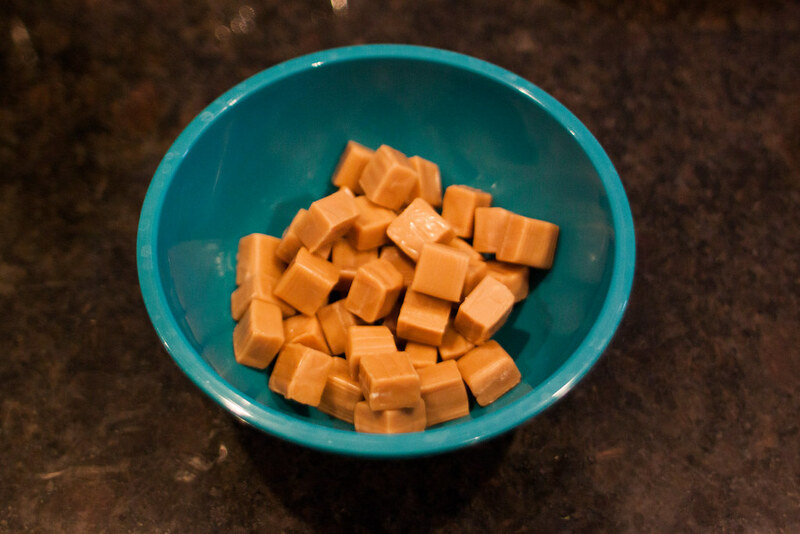 Unwrap all of the caramels and place them in a large stove pot set on low heat, stirring occasionally. 2. Chop the nuts and candy finely with a knife (or in food processor). 3. Insert the sticks into the center of the apples, starting at the top (may require some extra force). 4. 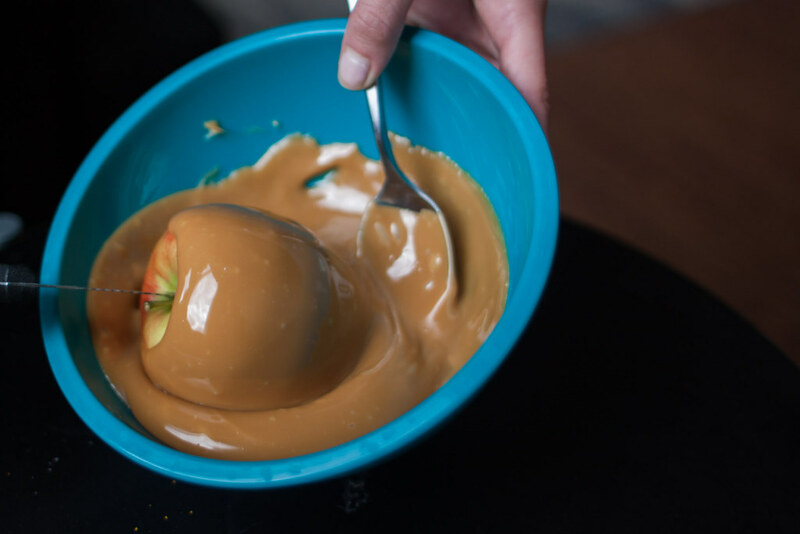 Once the caramel is melted, dip the apple into the liquid and spin until fully covered. 5. Let the apple set on a pan until the caramel hardens. This should only take about 5-10 minutes. 6. Optional (but why not? ): Next, dip the lower half of the apple into melted chocolate (just melt some chocolate chips in the microwave) and spin until half is coated. 9. Roll your dipped apple in nut or candy topping.